Adding context to data is vital to make the story more compelling and your insights more valuable. There are many ways in which we can add this context, this could be through metadata, storytelling, or, as we are going to discuss here, video. The use of video analysis in sport is vital as it provides the audience, be that coaches, analysts or sport scientists, a means to apply their expertise to the events that have occurred. But how do we start to marry the fluid world of experience and opinion and the world of raw hard numbers to ensure that the analysis and feedback we are providing takes in to account, or at least provides the added advantage of, context. 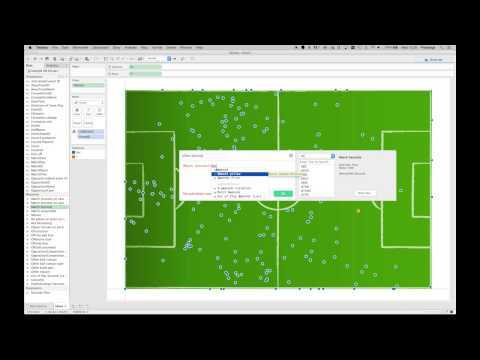 Well, combining data and video is certainly one way and it would somewhat seem wrong of me to harp on about the importance of video in sport if I was to then type this blog, so instead, here is a vlog on how we can link video to data points in Tableau. Enjoy…. There are many different sport specific video platforms being utilised at clubs, in my example I use YouTube, but this technique can be implemented anywhere that you can define the time within the URL (read more about this here).